As a result of this win, Hyderabad has now won three out of four matches whereas Delhi has lost three out of five matches. 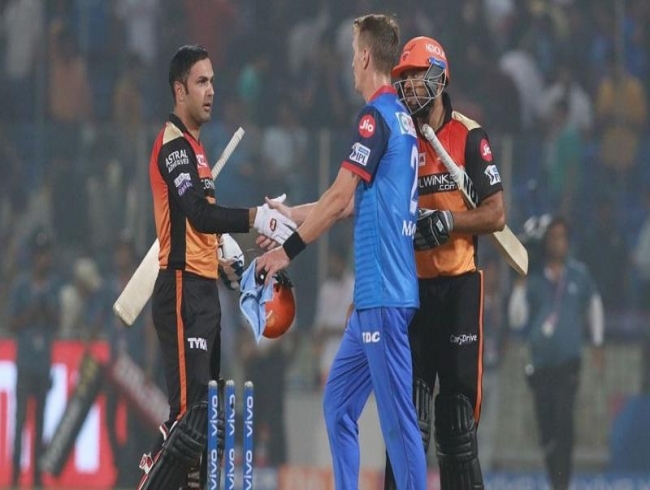 Vijay Shankar and Manish Pandey then took the honours upon themselves to take SRH over the line and duo added 27 runs to take the team to a comfortable position in the chase. Pandey (10) was dismissed by Ishant Sharma in the 13th over of the innings.